Do you ever feel like you’ve been pounced on, pinned down, and pummeled? Or maybe you know someone who fits that description. That’s the enemy we are up against. He’s a lion who stalks. If we’re not careful, we could easily skip over a key word in this entire “don’t be the enemy’s lunch” how-to guide. Time. Timing. At the proper time. Peter knew this well. How often did he take “time and timing” into his own hands? 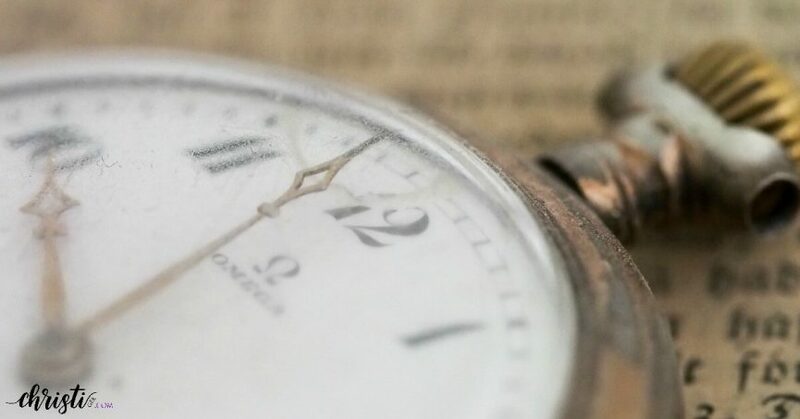 These short verses are full of powerful resistance strategies, but they all relate back to a humble view of ourselves and a complete trust in God’s timing. So many of the enemy’s tactics are based on causing us to question God’s goodness, his power, or his timing. 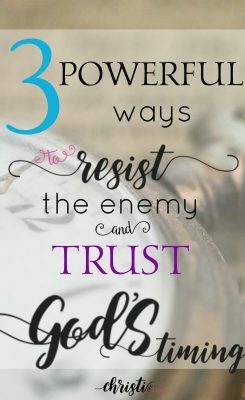 So wouldn’t it make sense that the secret weapon of resistance is rooted in trusting God both knows what he’s doing and cares about what’s being done to us? A successful plan to survive on the Savannah desert of life isn’t easy, but it isn’t complicated either. On either side of talking about resisting the devil, James talks about submitting to God and drawing near to him. It’s just so … well, submissive. And most of us don’t do it naturally. We have ideas and plans and expectations about how we should be viewed, how our efforts should succeed, and how life should play out. And waiting? Who has time for that? Lions are not fast creatures. Thus, sometimes they hunt by hiding near something their prey needs (like a water hole) and just waiting for the prey to come to them. God offers a living water source, but we sometimes get antsy and venture off toward the world’s muddy hole, looking to do it our way or seeking affirmation from everyone else except the one that matters. Because, well, God’s way requires discipline and time and effort. Some shortcuts are good. But many are not. What about your life frustrates you right now? What plan can you not seem to push forward? Do you look at others and wonder why your efforts don’t produce results like theirs? Any of these questions (and more) may reveal to you where you are wrestling with God’s authority instead of submitting and drawing near. If you don’t relinquish your plans to God and surrender to HIS timing, you may find yourself on that path to the wrong water hole. It’s well worn. Easy to reach. It also has a lion crouched nearby. If we lived in the first century, we’d understand this metaphor more clearly. Everyone wore robes. If they needed to move quickly, they had to gather up the ends of their robes so they didn’t trip. We have to pull in all the loose ends of our thinking. Anxious thoughts are certainly a tripping hazard. For the enemy, they are a foothold; and something he can hang onto as he drags his prey to the ground. Anxiety is the opposite of trusting God with your life. The adversary not only accuses us before God; he accuses God before us. If he can tempt us to doubt God’s care for us, then he will have gained a foothold full of possibilities. Are you anxious or worried or just “in a tizzy” as some of us southern women might say? What about? Is the issue too big for God? No? Then are you frustrated with how He has chosen to handle it ~ or how you can’t see Him working in it at all? Do thoughts cyclone around in your mind as you wonder if God even still cares? Then you have loose ends. Maybe it’s time to go belt shopping. Ephesians 6:14 reminds us that truth cinches up all those loose ends. His goodness was not created by your faith. And it’s not suspended by your doubt. And you can trust God’s timing. “Prey animals are most afraid of lions when they can’t be seen. It’s the idea of being steadfast, full of self-control, correctly in charge of our priorities and not intoxicated with the world’s bait. Not swayed by our own emotions or passions. The phrase “follow your heart” makes my skin crawl. The enemy has convinced our society you can’t help what you feel. And you can’t fight it either. You must just go with it. Take your pick of the issues plaguing our culture and/or the church and you’ll find roots in this idea. The reality is we can fight our feelings through the power of the Spirit and the filter of God’s Word. But we have to first acknowledge where we are vulnerable and bring that into the light before God. What feeling do you value more than God’s approval? What (seemingly small) area of your life are you holding back? What have you convinced yourself must be ok because it helps you cope? Be very sure the enemy has been taking notes. “Satan isn’t interested in turning you into a reprobate. All he wants is for you to rebel in just one area of your life. So we have to be alert. With everything out in the open before God, the enemy doesn’t have the darkness on his side. The same is true with this spiritual lion. He looks for weak spots and unguarded thoughts that he can prey upon. And sometimes he’s just happy to sashay up to the feeding trough of the self-inflicted damage we’ve done to our own souls. Do you get the importance of those words? The devil can’t just devour everyone. If he could, he would. So he must seek opportunities. You don’t have to be his prey. Don’t give him the opportunity. I may have called them “simple” steps but that doesn’t make them easy. 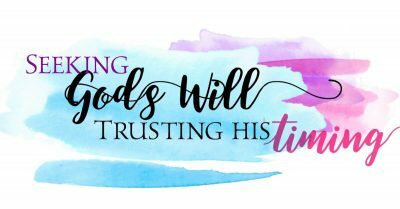 The more I lean into the truth of the Word and trust God’s timing and that his way works, the more I come to realize how much struggle I could have avoided all these years. It’s the fight of your life. But it’s a fight worth fighting! “sometimes he’s just happy to sashay up to the feeding trough of the self-inflicted damage we’ve done to our own souls.” Let me “Amen” all those other “Ouches”! You were all over me this morning, Christi! Such powerful guidance brought to us in such a simplified approach. But, like you said, simple doesn’t mean it’s easy. This one is going to stay with me for quite some time. 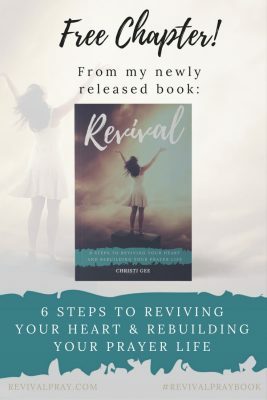 Visiting this morning through Holley Gerth’s “Coffee for Your Heart”. Blessings to you! Janet, you make me smile with all your comments :) Yes, simple doesn’t mean easy. I know that firsthand! Loving getting to know you! Oh, girl! You are so right. Love this comment! Christi, this is an amazing bit of advice, and right from the Word! Thanks for making it so memorable. Smiling at your “memorable” adjective :) Thank you! I just posted about the “update on the book I am not writing.” So, uh, yeah, this definitely resonates. I love the bit about when the lion is seen, everyone is safe. I never knew that! 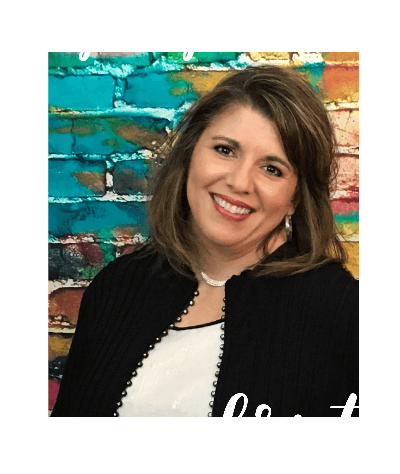 So many nuggets of wisdom, backed by scripture here, Christi. Your next door neighbor at Blessing Counters. Thank you! And the part that resonated with you is the part I wrote from personal experience :) Preaching to myself with this one in parts! Thank you so much for spending time here this weekend. I guess I’m wrestling with God’s authority. Oh…(sigh). Thank you for the reminder to surrender today! In my devotions this morning, I read 1 Peter 5:6-7. Don’t think it was a coincidence that I happened across your post on FB as well! Well, dear friend. You are in good company. I can write those questions because they are the ones that have been staring me in the face! Surrender the wrestling. That’s me. I think it’s all part of that realization that your strengths become your greatest strongholds. I love that God has been leading us to some of the same places in His Word. That makes me smile. Even if they are hard places. And thanks for the Podcast cheer. You are going to have pom poms in heaven I’m certain! “•What feeling do you value more than God’s approval? •What (seemingly small) area of your life are you holding back? Let’s just say I get “Emo” way too much of the time. I need that belt. And that ole muddy watering hole somehow looks like the pic of the gorgeous aqua Bermuda water that my daughter sent. How does he DO that?! Lies. And really, we don’t get that we’re buying into it while we’re in the midst of it so much as we realize it later. Hence, the sober mindedness. Thank you as always. You just smother me with your words and it feel like a big ‘ole WV hug. It always makes me smile to see that you resonate with the same things that were stepping on my toes as I wrote them. We’ll just have to put belt-shopping on our list for one day! Can’t wait for your new site!